When my friends told me a salvage store was opening in our town, I was skeptical. Salvage sounded like a junk yard store...worse than the grungiest thrift store. It's not so much a junk yard but a product grave yard... And that's not necessarily a bad thing. Salvage stores are different than overstock stores which tend to take what the big stores ordered too much of. 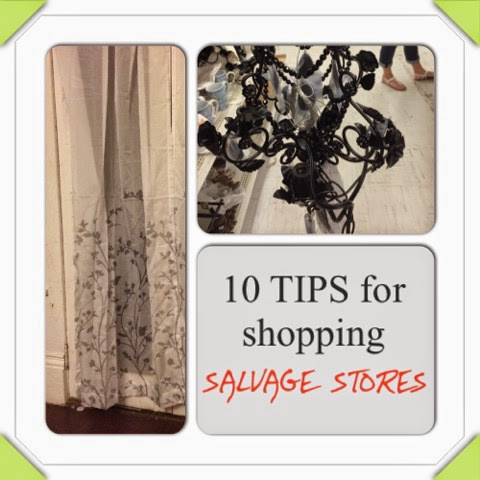 Salvage is more like the scratch and dent grocery stores that sell damaged packaging items. Typically if a box has been opened a store can't resell it. A salvage store will buy it so the retailer isn't at a total loss. Salvage stores also buy items that are returned the stores can't sell... Like when Joe bought Sally a gift and instead of wrapping it and putting on a nice gift tag, he wrote "TO SALLY" on the box. Sally returned it unopened, but who is going to buy it now? Last week, Leelee and I found an awesome Creeper plush toy. The one problem: the face was on upside down! Or the packaging might say it contains 10, but there are only 8. You still find broken items, but many times it's still usable or you can grab it for parts. There are still a fair amount of overstocked items, too. It's the one place I've found I can go to find that obscure item I'm looking for... Like a twin sized egg crate mattress. The prices typically start at 50 percent of retail and the longer they sit on the shelves, the lower the price goes. It can be overwhelming to shop a store like this. Finding best deals at salvage stores is very similar to finding deals at thrift stores, but since the items are new, you may end up with a better deal. New merchandise arrives all the time. To be honest, there's usually so much stuff shopping often means you might find something you missed. Missed it! I first saw this listed at $75. That was a bit high. So I waited. There were three so I figured I had time. It got marked down to $35 and I kept waiting. It would be a total frivolous purchase since I didn't have a "home" for it. 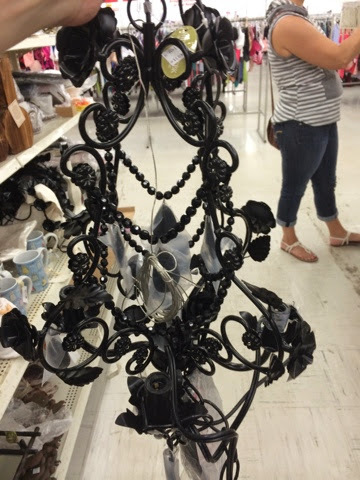 By the time it was marked down to the $15 I was willing to pay... All of the chandeliers were gone. Plug it in, make sure it works. We went through three air pumps before we found one that worked to test make sure the air mattress ($8!!) didnt have a hole. It's like a treasure hunt. Bedding may not be in packaging. Tags might be ripped off. Or you might find just one of something you need two of. 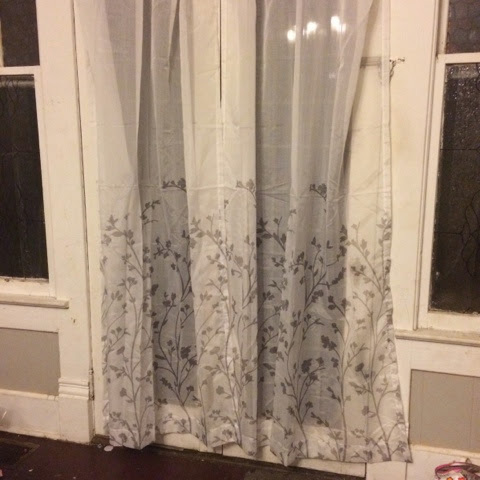 It took two of us digging through the linens and curtains to find a match to these sheers. Make sure it's all there or to find pieces you need. The blender I was looking at was missing the blades. 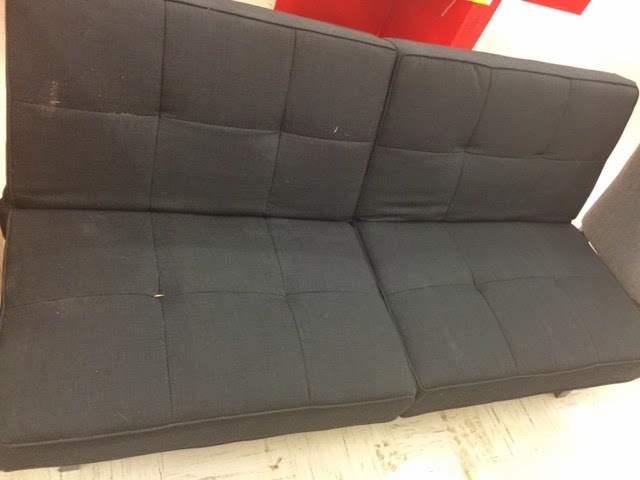 Or there was the futon for $65. The pieces were inside a Walmart bag in the taped up box. We tried another taped up box and found the pieces in the original packaging AND the instructions. Be willing to repurpose. 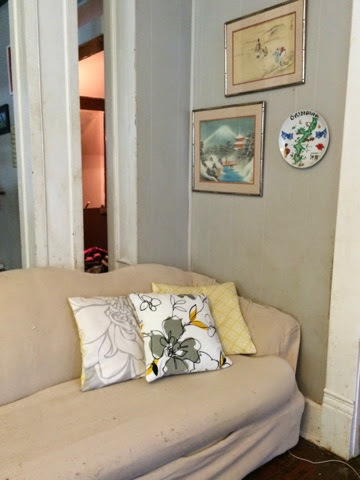 The two pillows in the back were king sized pillow cases... Not for throw pillows. At $2 I was willing to do a bit of sewing to make it work. 7. If it's broken... Can you fix it? One of the store employees told me about a man who took parts from three broken things to make one that works. I've passed on several broken items that I LOVED simply because it was outside my skill level to repair. Again, you need to be mindful of how difficult the repair might be... Another DIYer might grab it first. I lost a great bench this way. I wasn't willing to pay $80 for something that needed repairs, but someone else was. Snagged it! 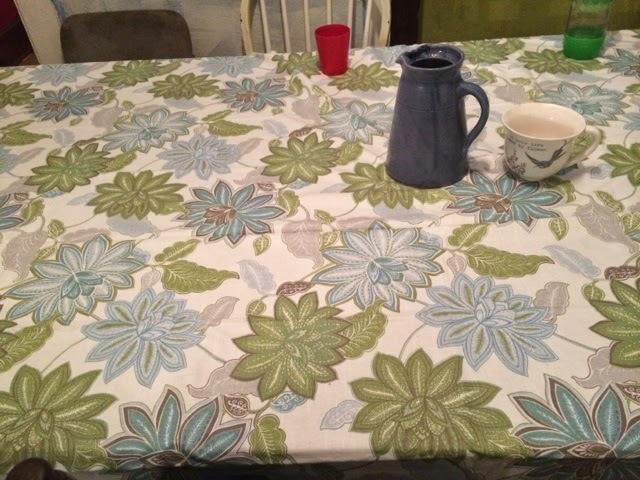 Perfect colors and style for my dining room. Paid "full" price of $4. Sometimes, you just get lucky! How much are you willing to pay? This is important when it comes to a must have item. The furton, for example, was originally priced at the store for $80. I really needed to replace Little Miss's toddler bed with something different. With four futons at the store, I figured I had a bit of time ... But I didn't want a repeat of losing the chandelier. The $65 I ended up paying was a bit more than I wanted but within my price range (I'm cheap, what can I say). However, after checking what was wrong with the other futons, there really was only one left. 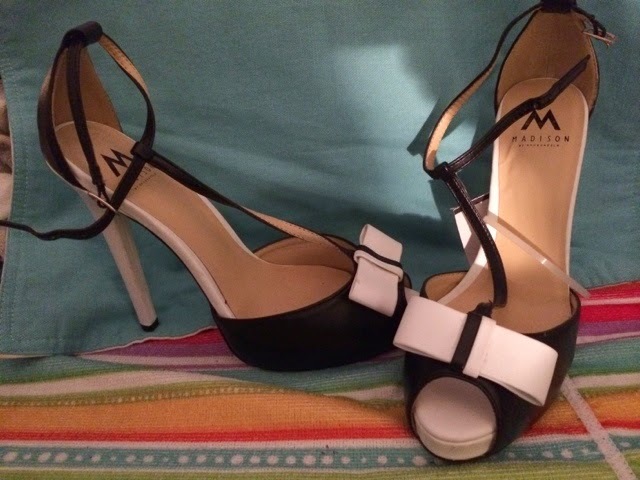 They have ReSell Stores in Delaware, but I haven't checked any of them out yet, thanks for sharing at the #WWDParty.